The NSW Department of Industry, with invited speakers from Asialink Business and Austrade, is conducting the two free advanced exporting workshops. A Tamworth workshop will be held on Tuesday from 9.00 am to 2.00 pm at Wests Diggers Club in Tamworth. A Riverina workshop will be held on Wednesday from 9.00 am to 1.00 pm at Romano’s Hotel in Wagga Wagga. The workshops are designed to help businesses with an export focus expand into ASEAN markets. They will coach businesses on how to develop and implement a market strategy for the ASEAN region, provide tips on e-commerce and include a question and answer session. NSW goods exports to the ASEAN region were worth $4.6 billion in 2016-17, an increase of 37% on the previous year. 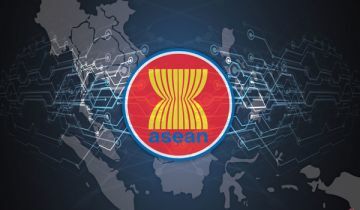 The ASEAN region covers 10 key Asian countries including Brunei, Burma, Cambodia, Indonesia, Laos, Malaysia, the Philippines, Thailand, Singapore and Vietnam. The ASEAN region is undergoing rapid middle class growth creating consumer demand and opportunities for a range of NSW export industries from food and agribusiness to technology, health, education and training and tourism. The export workshops will help businesses understand developments in the region and what that could potentially mean for their business.